WE BELIEVE that healthy student/teacher relationships arise from learning environments with VARIED INSTRUCTION, CLEAR EXPECTATIONS, CONSISTENT DISCIPLINE, and POSITIVE REINFORCEMENT. These practices FOSTER intrinsic MOTIVATION, increased FOCUS, and life-longer LEARNERS. We further believe that meaningful RELATIONSHIPS between staff, parents (family), and students are best accomplished by establishing a culture of mutual RESPECT, RESPONSIBILITY, ACCOUNTABILITY, and RESOURCEFULNESS as modeled by the school board, administration, teachers and support staff. Click on the picture to apply now for 2018-2019 Free or Reduced Meals at our new SchoolCafe.com website. You can apply quickly and easily from your computer, phone, or tablet. Or if you prefer, paper applications are available in every building’s main office and may also be printed out here. If you are interested in ordering a yearbook please click here and you will be redirected right to the Josten’s website. Click here to help the Center for Rural Pennsylvania analyze broadband availability in Pennsylvania. This is a broadband test that will help PSU researchers map broadband access in PA. 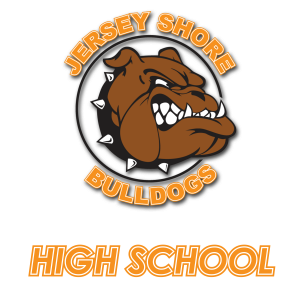 Copyright © 2019 Jersey Shore Area School District. All rights reserved.